Complete Dentistry of Orland Park accepts all PPO dental insurance plans. Prior to starting any treatment plan, we will work with your dental insurance provider to inform you about the benefits which apply to your treatment. Before beginning treatment, Dr Ringhofer will meet with you to discuss your treatment plan and current dental service insurance benefit information given by your insurance provider. 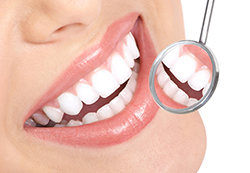 At the time of treatment, we will file the claim for dental services with your dental insurance provider. Insurance benefits can be complicated, so it is best to check with our office if you have questions concerning our insurance and payment policy. Complete Dentistry of Orland Park also participates in Care Credit, a credit plan specifically for dental patients. For information click the CareCredit link below. To save time on your first visit to Complete Dentistry, you may wish to complete and print the patient information forms on this site. Simply click here to access the forms.